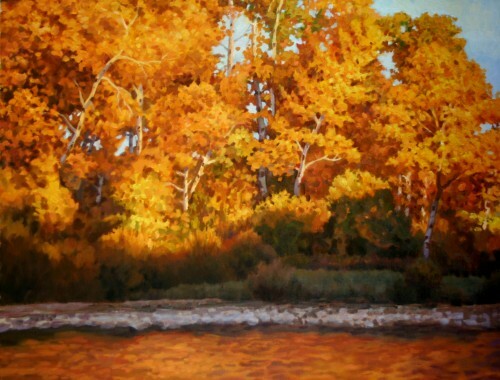 Why Get Outside to Create Landscape Art? People did it for hundreds of years. To learn to paint the landscape an artist went out into nature to learn to understand depth, perspective and most importantly color. This was an important part of the training of any artist so they could produce landscape art that felt natural and believable. To learn more about drawing or painting landscapes take one of my outdoor art classes or painting workshops where we visit wonderful places around Idaho and Arizona the learn the art of creating wonderful landscapes. I agree. Artists who usually study their outdoor environment do come out with natural and creative paintings that are filled with emotions. I can actually relate to that because I always take a walk around natural environment before picking my canvas and brushes and guess what; I always create beautiful artworks.